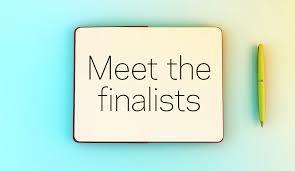 Description: Whether you are a community member and/or a parent of a Green Mountain Union High School (GMUHS) student, please come to "Meet the Finalists Night" on Feb. 13 (Tuesday) 4:40pm to help select the candidate for the GMUHS principal. Your input will help shape the future for our students. • Mr. Chambers: Director of Curriculum for the Windsor Southeast and Windham Northeast supervisory unions, a principal and a high school teacher. • Mrs. Fierman: Director of Curriculum, Instruction and Assessment at Regional School District No. 8 in Hebron, CT and has previously worked as a district data coach, an English department chair and a middle school teacher. • Mr. Ripley: Associate Principal at the Green Mountain Union High School and has served as an assistant principal and a science teacher in other school settings. Ripley is also a Cavendish Select Board member, lives in Proctorsville and serves on the Ludlow Ambulance squad. Community members will have twenty minutes to meet with each candidate separately, switching classrooms every twenty minutes in order to meet all three finalists. After meeting with the candidates, you will provide feedback, which will then be shared with the GMUSD Board of Directors that evening.